May 19-20, 2018. First tournament of the year. 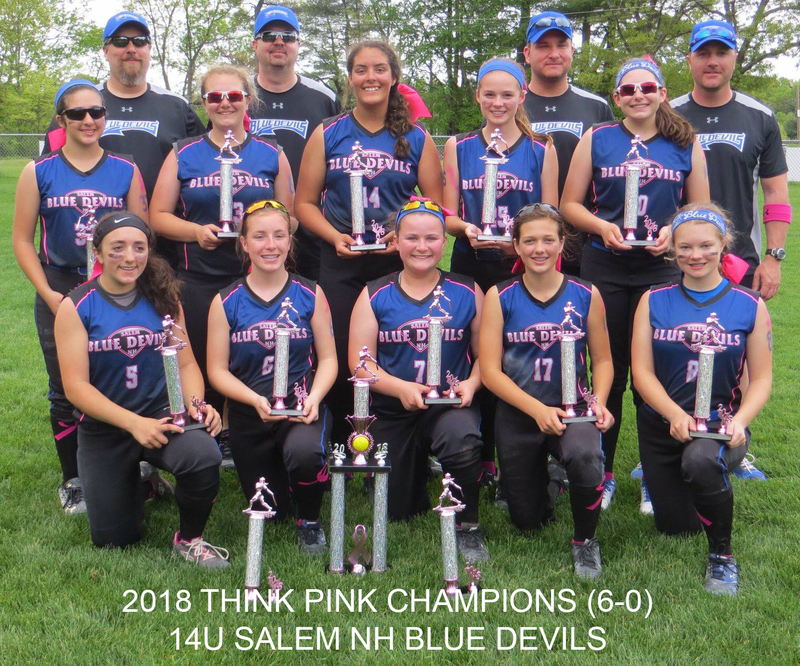 "THINK PINK"
Undefeated (6-0) Champions of the Think Pink USA Softball tournament in Tewksbury, Ma. 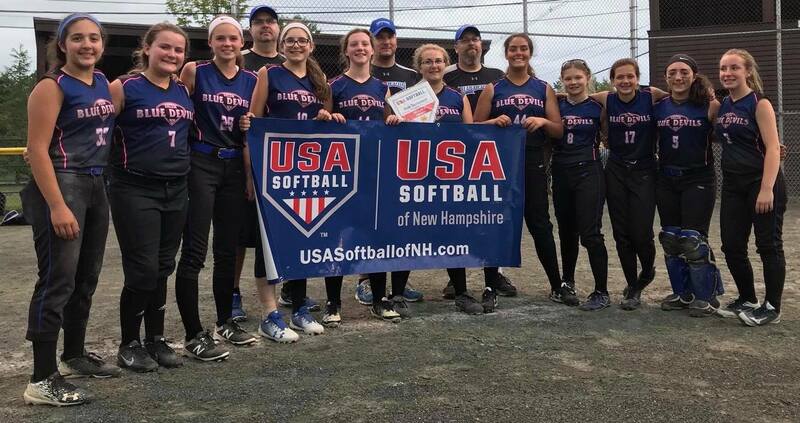 20 teams competed in the 14u division from all over New England and New York. Runs scored: 50. Runs allowed: 11. 3-2 record, 6th seed out of 14 teams. 4-1 Record, 2nd seed out of 10 teams. Lost in Semi Finals. Most runs scored in pool play games. 3-0 Pool Play record and #2 seed out of 20 teams. 4-1 overall record in the tourney. Lost in Semi-Finals. 20 teams. #4 seed (3-0, 2 runs allowed) after pool play. Made it to the final four before losing 4-2. 16 teams. #4 seed (2-1, 4 runs allowed) after pool play. Lost in semis. 3-2 record. 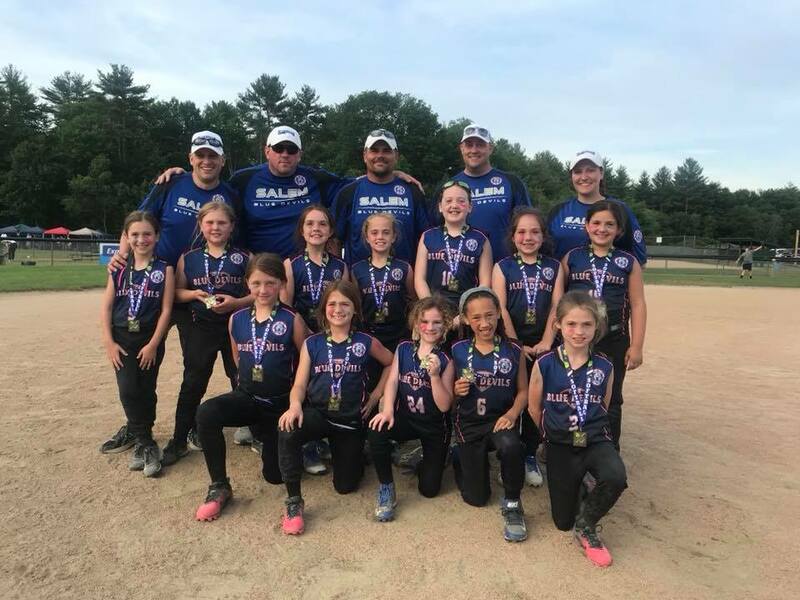 June 2018: Barrington Grip N Rip Runners-up.